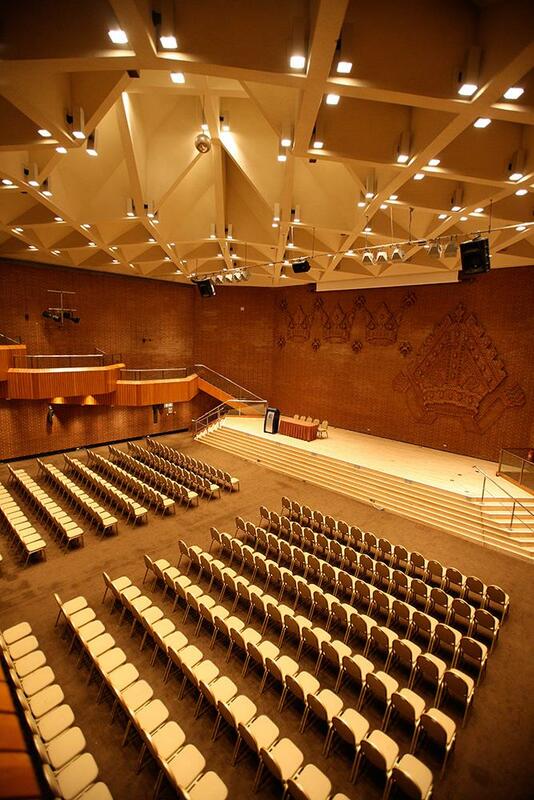 Kensington Conference and Events Centre is an impressively adaptable, purpose-designed building offering unrivalled conference, exhibition and banqueting facilities. Superbly served by a highly efficient network of transport links and combining a range of halls and rooms, modern communications and conferencing equipment, full disabled access and a 24-hour underground car park with capacity for 460 vehicles, the Kensington events space provides an easy-to-use and endlessly adaptable space suitable for a wide range of events and special occasions. Furniture, tables and chairs, technical equipment and poster boards are inclusive in the hire fee so there are no hidden costs. 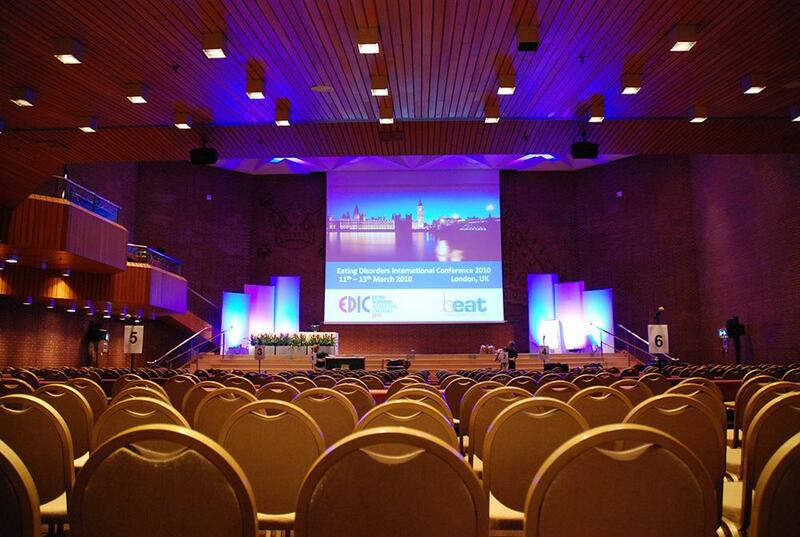 Kensington Conference and Events Centre is an accessible, affordable, friendly and stylish setting for a diverse range of events in both the public and private sectors; trade exhibitions and fairs, business conferences, AGMs, product launches, training days, VIP banquets, wedding receptions, parties, auctions, music concerts, live film, television and radio filming and recording, boxing matches and graduation ceremonies have all been welcomed by the Royal Borough. 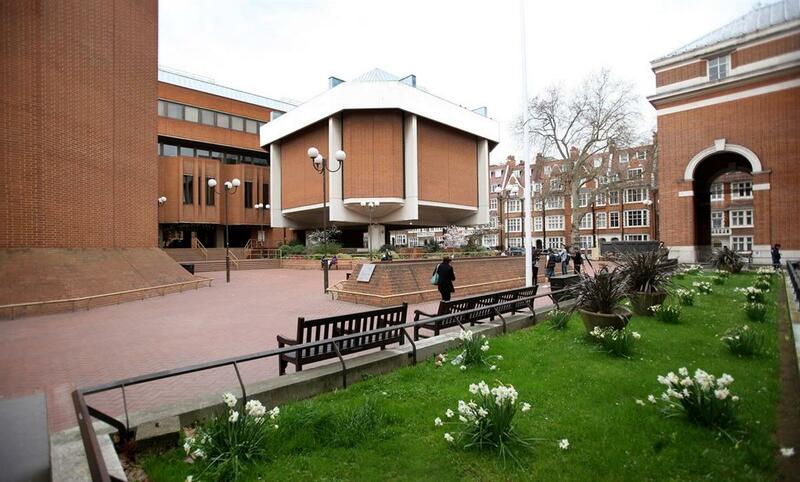 • Services of an Event Manager for the duration of the tenancy. 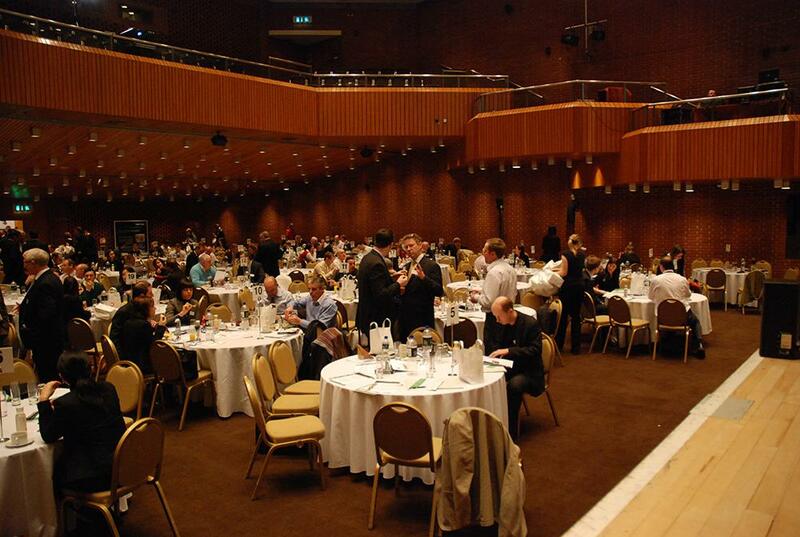 The Small Hall located on the first floor is a well-proportioned area for smaller conferences, seminars and dinners. 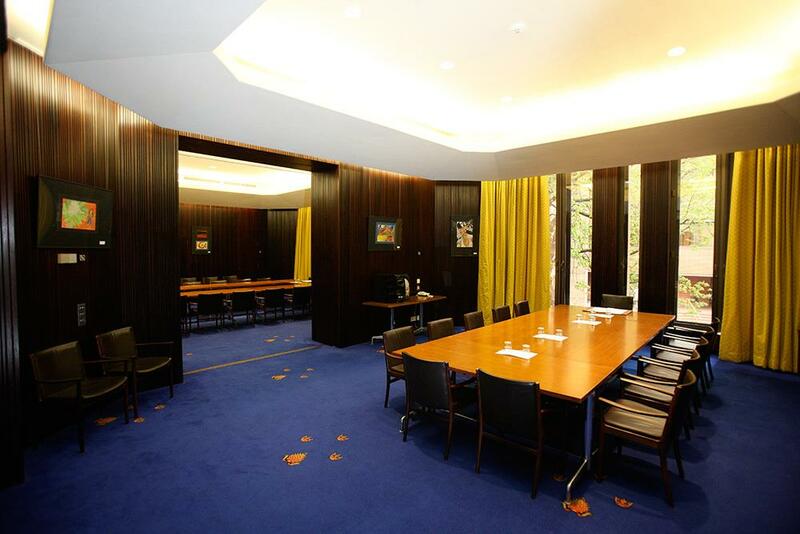 With its own cloakroom and toilet facility the Small Hall also has a dedicated foyer area, full audio visual support and its own private bar and kitchen facilities. A shared projection and sound studio enables events in each to be run simultaneously. 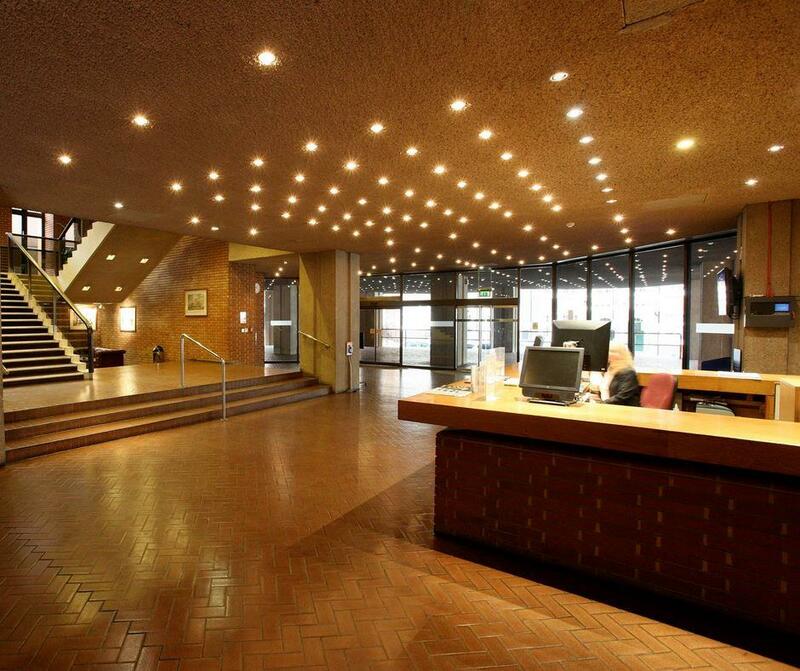 The Small Hall has its own dedicated entrance, although this can be combined with the main entrance for an event taking place in both halls. There is a multi point electronic signage system that can be used to display event logos, photographs, animations and sales messages. 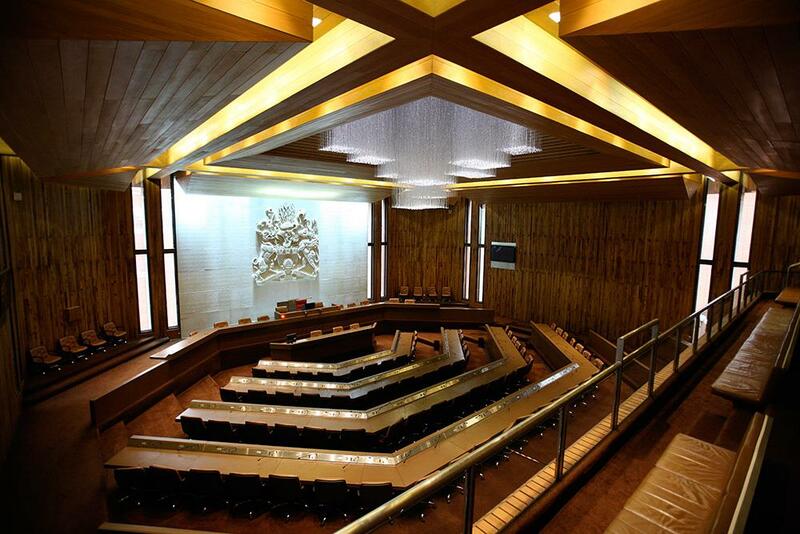 A particularly impressive resource, the Council Chamber houses a central bank of seating and leather-topped desks for 70, incorporating centrally controlled, individual microphones. The galley houses 54 fixed seats and a further 51 chairs can be added if required. 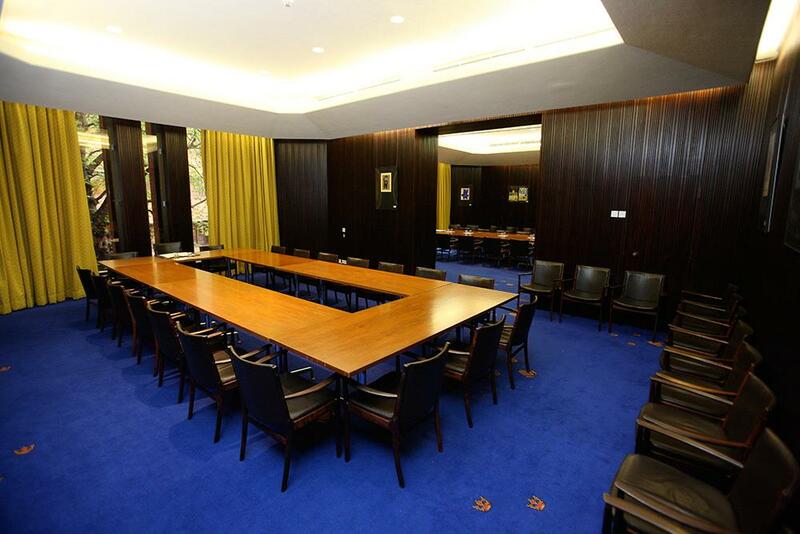 There are five contemporary meeting rooms, including the elegant, mahogany paneled Mayoral Suite. 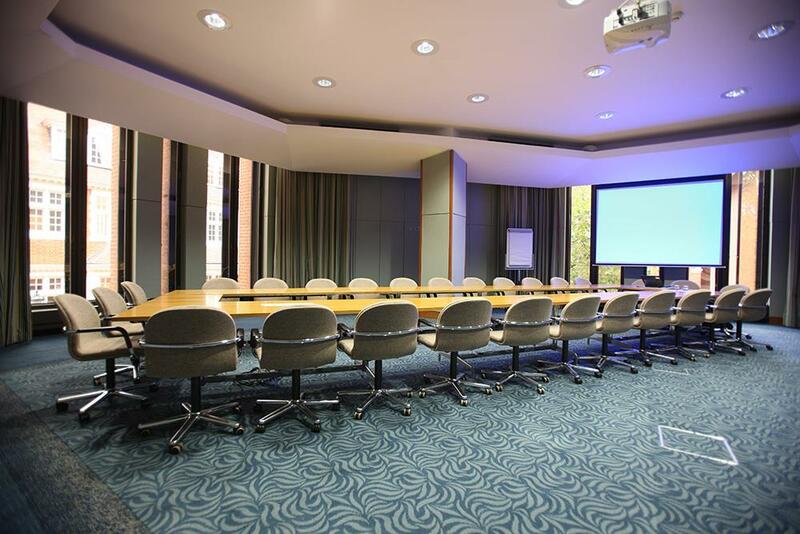 These are ideal for smaller meetings, lunches or syndicate rooms and all benefit from full audio visual support.